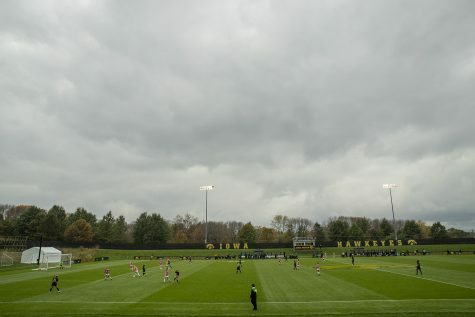 The Iowa soccer team will play host to Northern Iowa today. 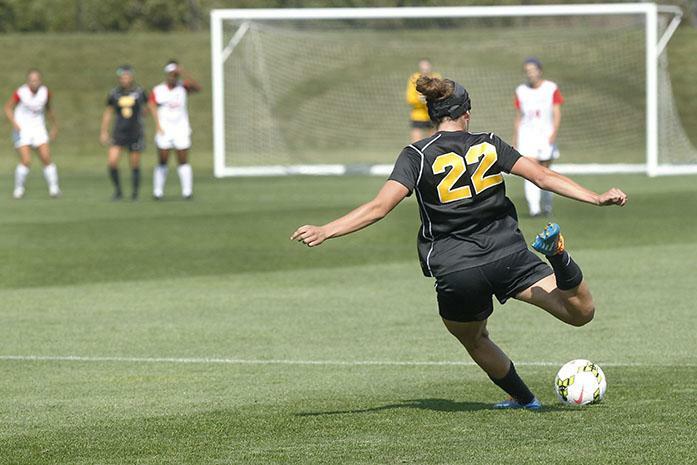 The Iowa soccer team will put its 2-0 record on the line against Northern Iowa today. The Hawkeyes have been off since Aug. 23, with their game against South Dakota State on Aug. 28 postponed because of rain. The Panthers, led by leading goal scorer Annie Dale, enter 2-0-2, fresh off a 3-0 win over Eastern Illinois. Today’s match is the last game of Iowa’s four-game home stand. 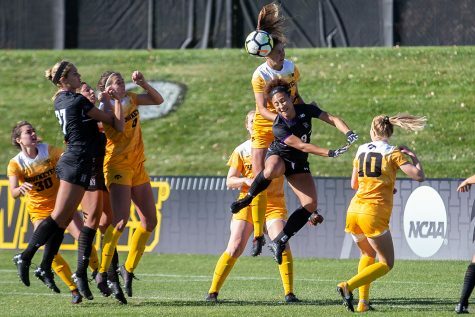 The Hawkeyes will head to Missoula, Montana, for a pair of games with Utah State and Montana on Friday and Sept. 6. 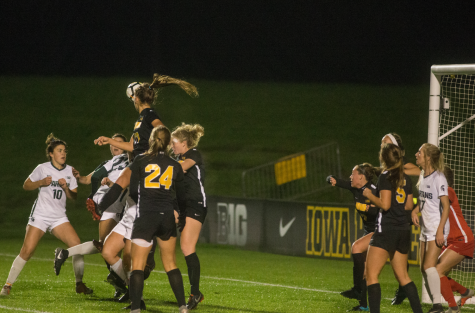 Historically, Iowa has dominated the Panthers on the pitch. The Hawkeyes own a 12-0 record over the Panthers, outscoring them 36-4 in those contests. However, the Panthers return nine starters from last year’s squad, which pushed the Hawkeyes to the brink in their meeting a year ago. With the Hawks’ seven new faces on the field this season, the Panthers’ experience may spell trouble for Iowa. Even with that in mind, the historical context and a bolstered defense that includes the addition of key Louisville transfer Rachele Armand bolster the Hawkeyes’ chances. 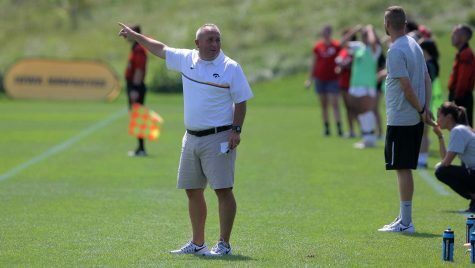 Armand only played 13 games in her two seasons at Louisville, but the Aurora, Illinois, native has made an impact for the Hawkeyes. She has started both games so far this season and has tallied 2 assists. 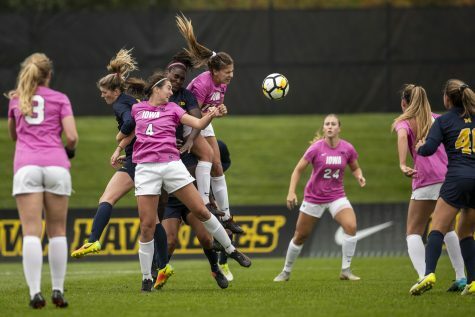 Perhaps the Hawkeyes’ biggest asset this season, however, has been senior goalkeeper Hannah Clark, who has not allowed a goal through two games this season. 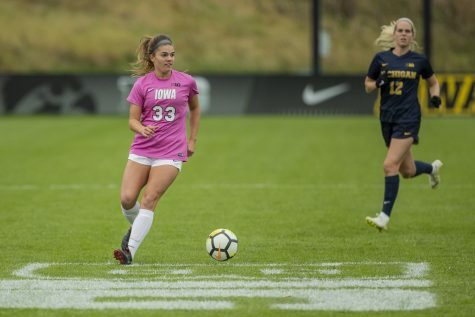 Clark has anchored the Hawkeye goal from her freshman year on. The senior played in 21, started 23, and played in 18 matches in her freshman, sophomore, and junior years, respectively. Just last season, Clark tied for third in the Big Ten in shutouts with 9 and in save percentage with .844. Northern Iowa goalkeeper Whitney Blunt, a redshirt junior, started 18 games last season and posted three shutouts. Blunt recorded 78 saves and posted a .757 save percentage. 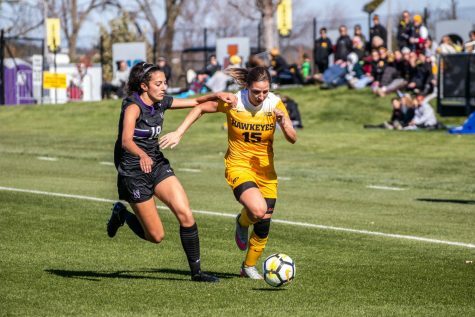 On the offensive end, a core of four players have led the charge so far for Iowa, with freshman Alina Magruder leading the way. Junior forward Bri Toelle leads the team in shots with 15 and assists with 3. Twenty-two Hawkeyes have seen action so far this season. But the Panthers are not without offensive firepower. 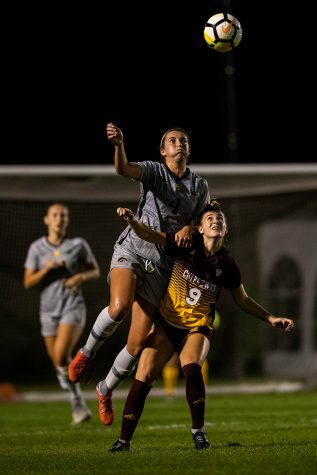 Five of the Panthers’ 8 goals this season have come in the second half; however, of 60 shots this season, the Panthers have tallied 28 shots in each half, plus a pair in each of the first and second overtime periods. This makes an intriguing matchup between the tough Hawkeye defense and high-powered Panther offense. The game will start at 7 p.m. at the Iowa Soccer Complex.